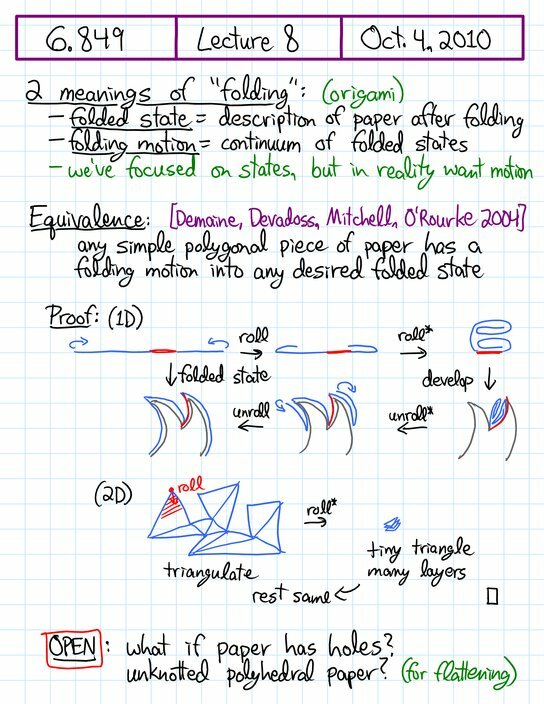 [+] Folding motions: folded states vs. motions; universal foldability of polygonal paper. Linkages to sign your name: graphs vs. linkages vs. configurations, configuration space; Kempe Universality Theorem, original proof, bug, corrections, generalizations and strengthenings. 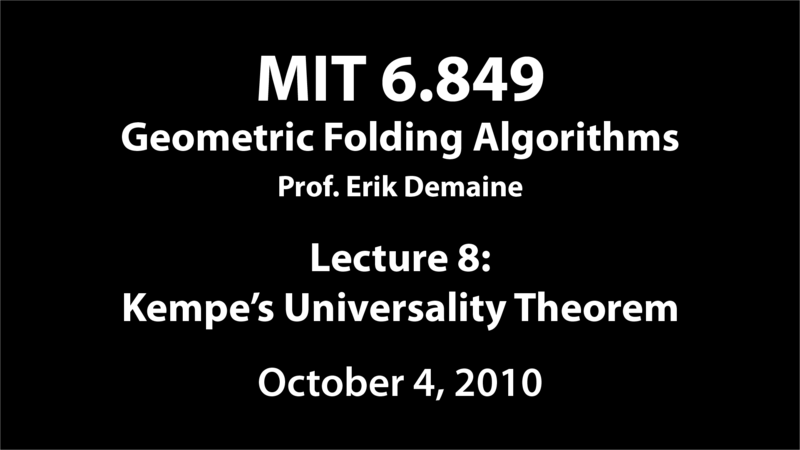 This lecture kicks off the beginning of linkage folding. 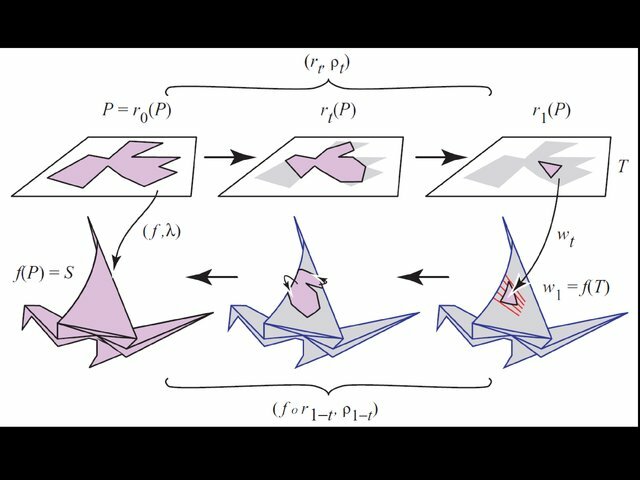 We'll segue from origami by thinking about folding motions of pieces of paper, and prove that it's always possible to reach any folded state of a polygonal piece of paper. How many extra creases do we need? This unsolved question leads to problems in the linkage-folding domain. Then we'll focus on Kempe's Universality Theorem: there's a linkage to sign your name, or more mathematically, trace any polynomial curve. This proof introduces a bunch of cool gadgets, in particular to add angles and multiply (or divide) angles by constant factors.